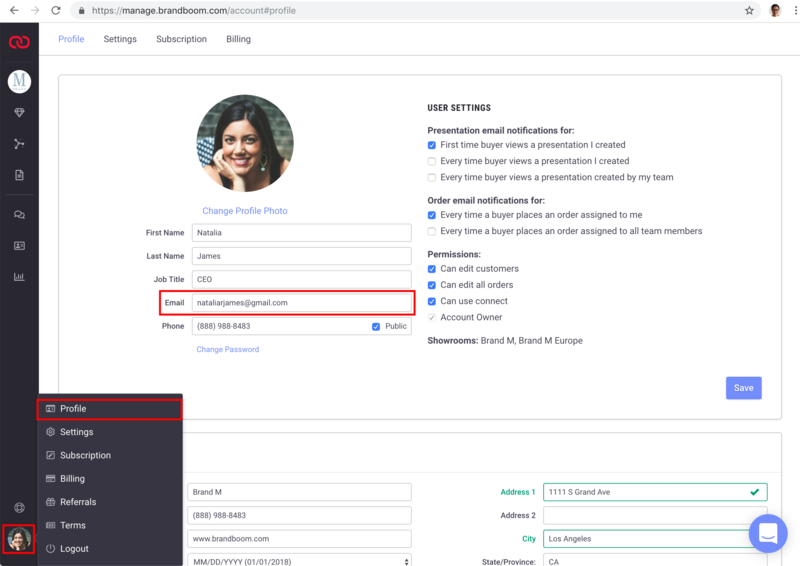 If you are looking to have a new person take your place, we recommend against changing the original user's email to a new email. Instead, we recommend inviting them to Brandboom as a new user and requesting that the new user be swapped into place. We can assist you with putting them into the same showrooms and giving them all of the same permissions. This is ideal if you wish to keep order associations with the original users and to avoid confusion. If you decide to change the email on your login instead, you can do so in your Account Settings, under Profile. 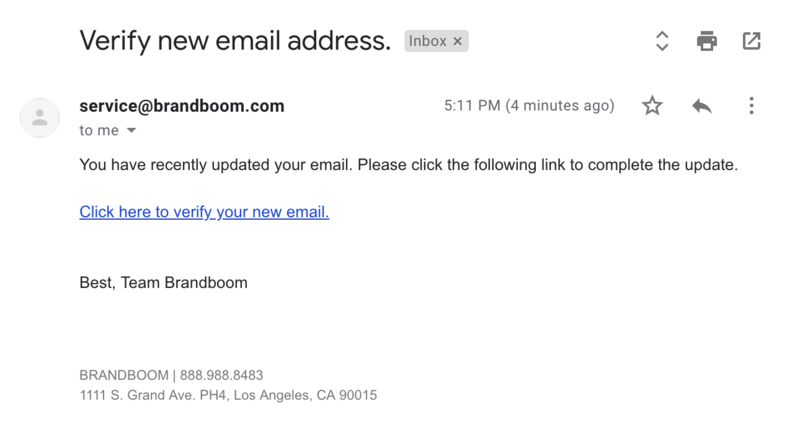 Note: If the new email address is already being used by another account on Brandboom, either as a Buyer or as a Seller, it will not be available. If you are the owner of the email and wish to delete your own account, please contact Support for assistance. Once you've entered a new, valid email, you will receive a request for confirmation by email. Click the link in the email to confirm the request and to proceed with the email change.